Every Wednesday at Metro Pub – Talant Abdyladaev and his Combo Band. 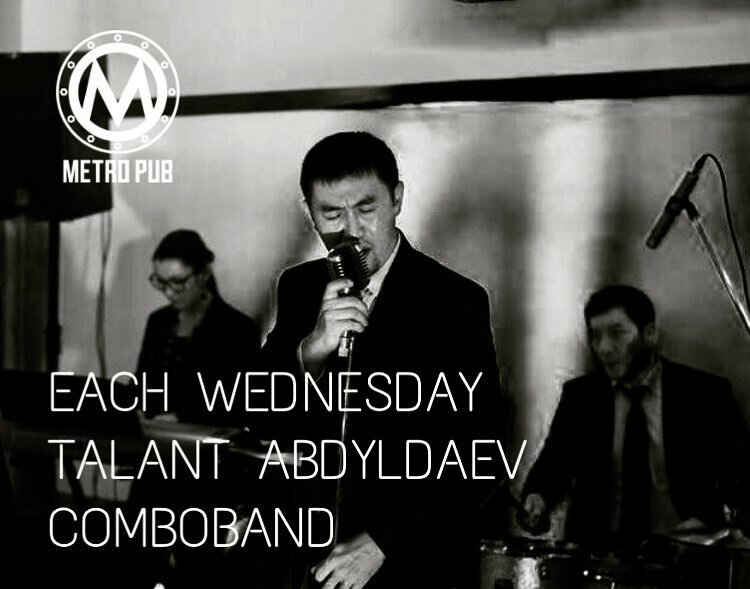 This experienced Jazz ensemble are a regular guest at the Metro Pub and other location - but each Wednesday the jazz combo is booked for the Metro Pub. 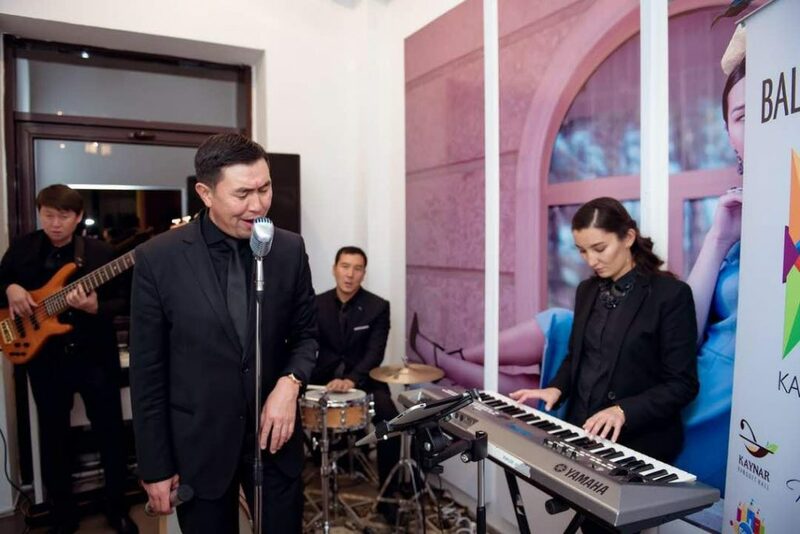 Talant Abdyladaev fascinates with his stage presence and his supporting musicians set the mode which he emphasizes with his lyrics. Their repertoire is mainly based in international Jazz standard. Accompanying him are three musicians playing e-piano, base and drum set. Metro Pub delivers the stage and the perfect bar surrounding for this performance.